This Week's Monday Work Outfit is simple but it was enhanced by fun pieces. 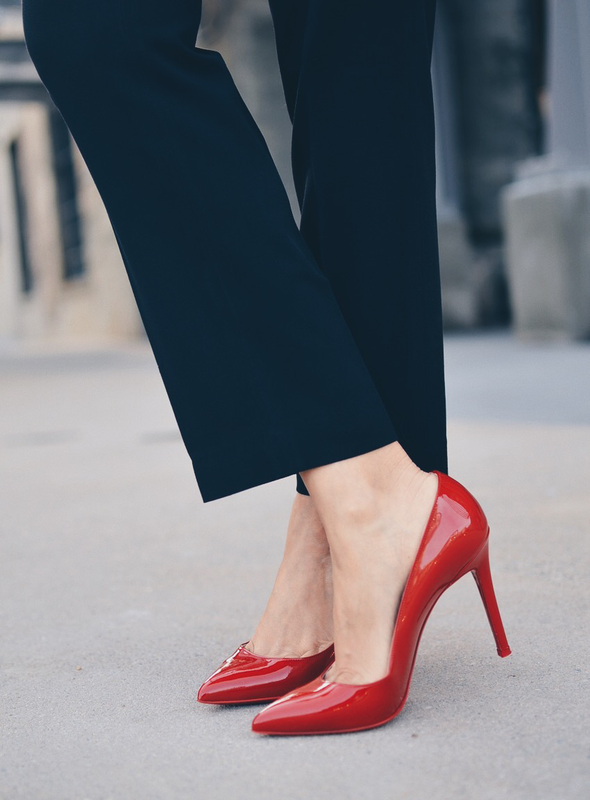 I used my new red pumps as a pop of color for my black pants and blouse, however, a pop of color wasn't the only thing I used to bring a touch of excitement to my neutral work look. As you can see, I also utilized a floral print to bring even more excitement to my ensemble without looking too loud. 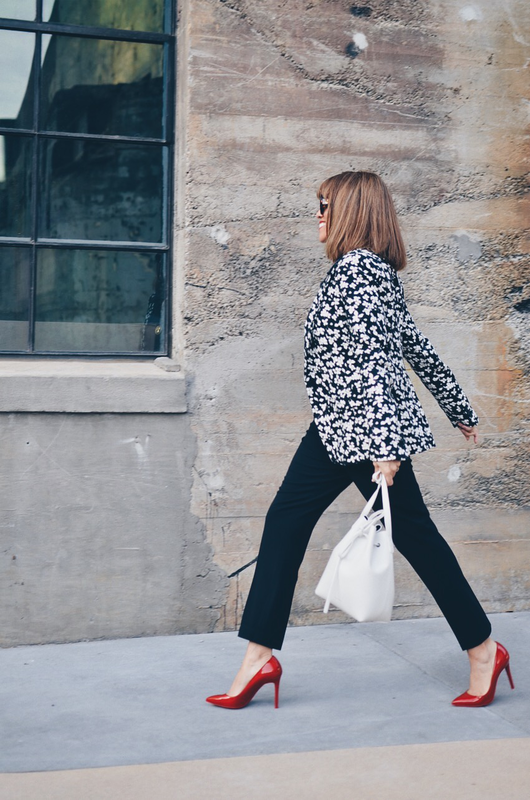 Keep in mind that if you wear garments with classic and clean silhouettes, you will get away with wearing color and prints in most work environments. Blazer: Banana Republic/Blouse: Equipment/Pants: Tahari/Bag: Mansur Gavriel/Shoes: Christian Louboutin/Sunglasses: Chanel/Earrings: Michael Kors/Pendant: Antique.